As an employee, it is your right to be treated fairly and to be paid on time for all the services that you render. Some employers try to take advantage of their employees by making them go through hell in trying to get their payments, some even out rightly refuse to pay them for the overtime that they do, all of which go against the provisions of the Fair Labor Standard Act. 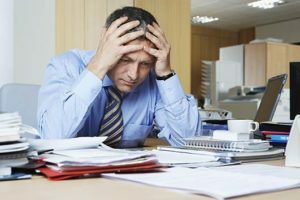 If you or someone you know has had to endure not being paid their overtime wages then you should speak to licensed and experienced attorney today. Your attorney would help you get the best out of your claim by thoroughly analyzing your case and evaluating its strength. Your attorney will go on to give you a great representation in court when the time comes. Rawa Law Group is your best bet for that professional and personal representation that you need. We carry out our duties with lots of attention given to the case at hand and to the claimant. Our Rancho Cucamonga Unpaid Overtime attorneys are more than committed to bringing you the compensation for all your troubles. Rawa Law Group is not another good-just-for-now law firm, we have been around for over two decades, our stellar track records and our star studded attorney staff list has made us one of California finest legal powerhouses, but our foremost pride lies in the joy and satisfaction of our clients, it has been the drive to our detail-conscious, and customer-friendly approach through the years. Don’t worry about upfront payments, we will carry on your case dutifully without it, we will only receive payments after we have won you the settlement you deserve! Need a FREE case evaluation? Then reach out to us today via the address below, we are here for you.